Even seemingly trivial features such as the material used for your backsplash play a role in making your kitchen as functional and visually appealing as possible. The team at DreamMaker Bath & Kitchen of Northeast Suburban Chicagoland has prepared a simple guide to help you choose the best backsplash material for your kitchen. A good number of homeowners, especially those who live in contemporary homes, prefer the sleek look of metal backsplashes. On top of their streamlined appearance, metal backsplashes are also easy to clean, making them the perfect choice for aspiring and professional chefs alike. The only drawback to having a metal backsplash is the fact that doesn’t hold up very well to scratches. Tiles, whether ceramic or porcelain, are a versatile backsplash choice. 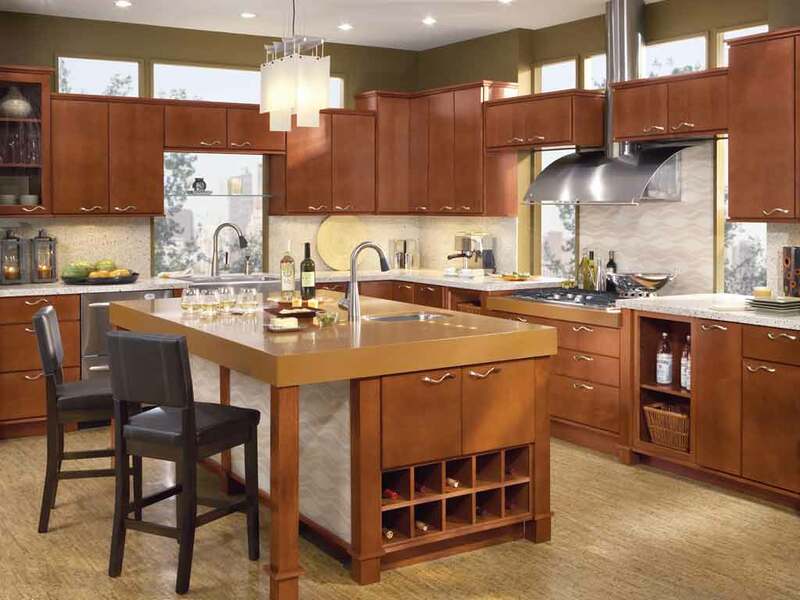 Various edge treatments and color combinations can make your kitchen look as classic or as modern as you want. Tile also has excellent water-resistant qualities, so stains and material rot are the least of your worries. However, note that tiles are a bit tricky to install, so calling a professional remodeler is a must. Exposed brick is a novel way of adding rustic charm to your kitchen. However, a bit of caution should be exercised when choosing to install exposed brick as a backsplash. The bricks need to be in perfect condition. Otherwise, you risk having them crumble after installation. Make sure to apply sealant so you get to enjoy your exposed brick backsplash longer. Whether you’re looking for ideas for a small kitchen makeover or doing kitchen remodeling on a budget, DreamMaker Bath & Kitchen of Northeast Suburban Chicagoland has got your back. If you’d like to know more about what we can do for you and your home, give us a call at (847) 327-0203.